ESAM, a build-to-print contract manufacturer to the Aerospace and Defense market, has an AS9100C:2009 certified quality system. The company is certified as located in a HUBZone. 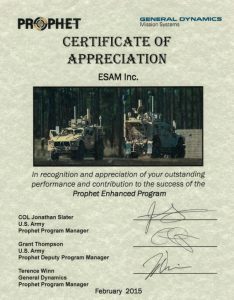 For additional information contact Jim Anderson, Sr. Director of Sales & Marketing, at janderson@esam.com.